US futures are pointing to a lower open today after ending higher on Thursday, on global trade war concerns and little signs of technology stocks recovery. Markets remained concerned that China decided to lift import tariffs by up to 25% on 128 U.S. products, and this is in response to U.S. duties on aluminum and steel imports. Also, President Donald Trump’s plan to impose tariffs of more than $50 billion on Chinese technology products would rekindle trade war fears. 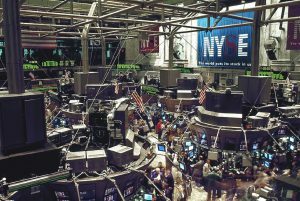 The S&P futures slid 0.42% to 2,632, Dow futures tumbled 0.53% to 24,018, and Nasdaq dropped 0.75% to 6,544.50. Elsewhere, shares at Asian markets closed mostly lower on Monday, while European stocks are trading higher. On the European economic front, data from the IHS Markit and Istanbul Chamber of Industry showed that Turkey’s manufacturing purchasing managers’ index (PMI) fell to 51.8 in March from 55.6 in February. An IHS Markit data revealed that Russia manufacturing PMI grew to 50.6 in March from 50.2 in February. Statistics Estonia data showed that Estonia’s industrial production rose 1.8% on year in February after increasing 7.7% in January. Another IHS Markit data revealed that Greece’s manufacturing activity declined to 55 in March from 56.1 in February. On the Asian economic front, data from the Urban Redevelopment Authority showed that Singapore house prices grew 3.1% sequentially in the first quarter after rising 0.8% in the fourth quarter. Statistics Bureau data revealed that Indonesia’s consumer price inflation accelerated to 3.4% in March from 3.18% in February. Japan Automobile Dealers Association data showed that Japan’s automobile sales fell 4.9% on year in March, the same rate of decline in February. IHS Markit data revealed that Philippine manufacturing activity grew to 51.5 in March from 50.8 in February. 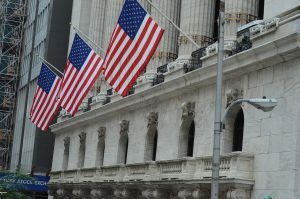 On March 29, US ended higher, with Dow up 1.07% to 24,103.11. Nasdaq advanced 1.64% to 7,063.44, and S&P 500 gained 1.38% to 2,640.87. Markets ended on a higher note at the last date of the first quarter, as the technology sector was poised for a recovery. A Labor Department report revealed that initial jobless claims fell by 12,000 to 215,000 from last week’s revised level of 227,000. An inflation reading showed that core consumer prices grew 1.6% annually in February after rising 1.5% in January. Meanwhile, key economic events scheduled for today include the Markit Economic’s monthly manufacturing purchasing managers’ index, Institute for Supply Management’s manufacturing index, and construction spending. Minneapolis Federal Reserve Bank President Neel Kashkari will issue speech today. Tesla (TSLA) stock decreased 3.99% in premarket after the company said the Model X vehicle that crashed was on autopilot. On the corporate front, Sorl Auto Parts (SORL) stock fell 11.67% in the premarket after lower than expected fourth-quarter earnings. Fitbit (FIT) stock declined 4.51% in premarket after brokerage firm Morgan Stanley downgraded the shares to underweight from equal weight. Amazon.com (AMZN) stock slid 1.40% in the premarket after Trump accusing Amazon of getting unfairly cheap postal service rates and not paying enough tax. Tesla (TSLA) stock decreased 3.99% in premarket after the company said the Model X vehicle that crashed was on autopilot. Crude oil futures is up 0.34% to $65.16. Gold is trading up 0.76% to $1,337.40, and silver is up 1.58% to $16.52. On the currency front, the US dollar is trading up 0.09% at 106.342 yen. Against the euro, the dollar is up 0.15% to $1.2342. Against the pound, the dollar is up 0.43% to $1.4069.